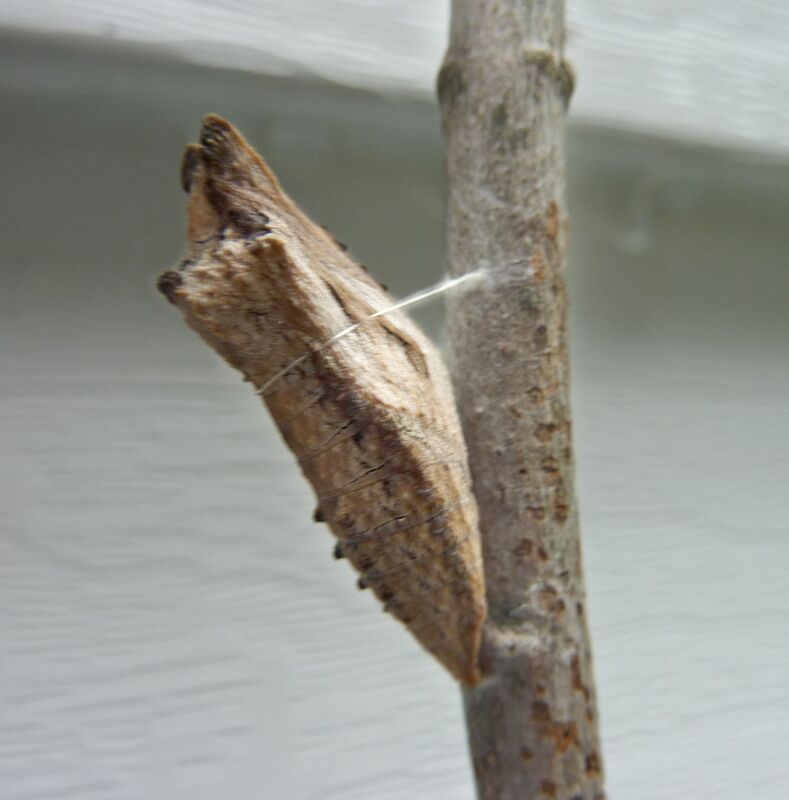 A Black Swallowtail Caterpillar, Papilio polyxenes, spinning a safety line to hold itself up before forming a chrysalis. The chrysalis looks like a plant stem though it's larger than any bud that I've ever seen. This one has been in there for more than 10 to 14 days that it normally takes to hatch. 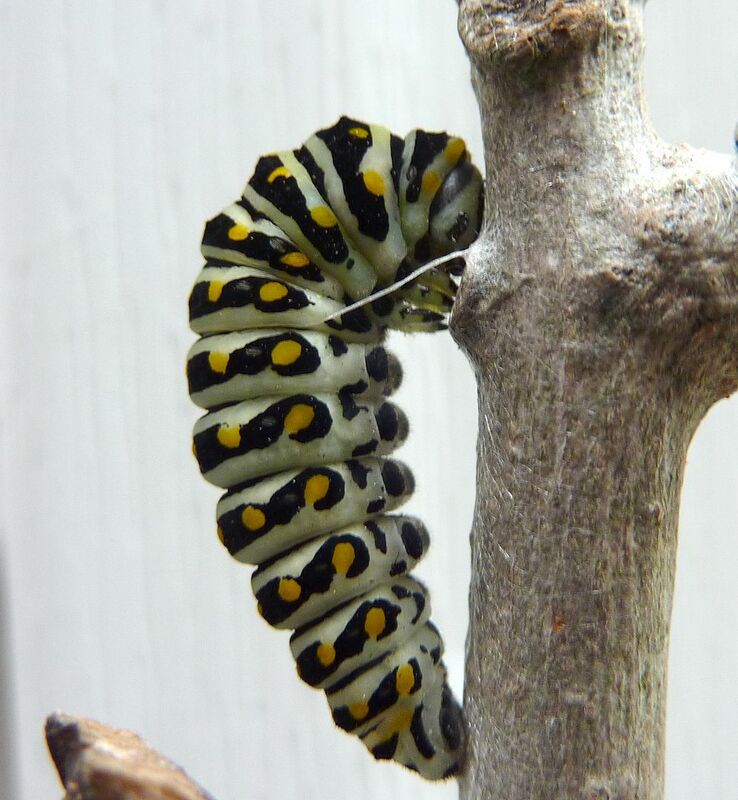 Black Swallowtails go through the winter this way and don't hatch until 6 to 8 months later! I couldn't decide which of these two was the better photo. I don't know if they seek each other out to add to the plant stem illusion or if that was just the best stick in the terrarium I grew them in. Most likely none of them are going to hatch until next year.